Puzzlemad New Additions: Got it at last! A long time ago, after a long period of chat with Jose Diaz (the designer of this beauty along with John Devost) I decided I really needed one of these. Jose only wanted to swap something and my collection at the time, had nothing spare. I kept looking until one day the opportunity arose and I managed to find a copy for my collection. 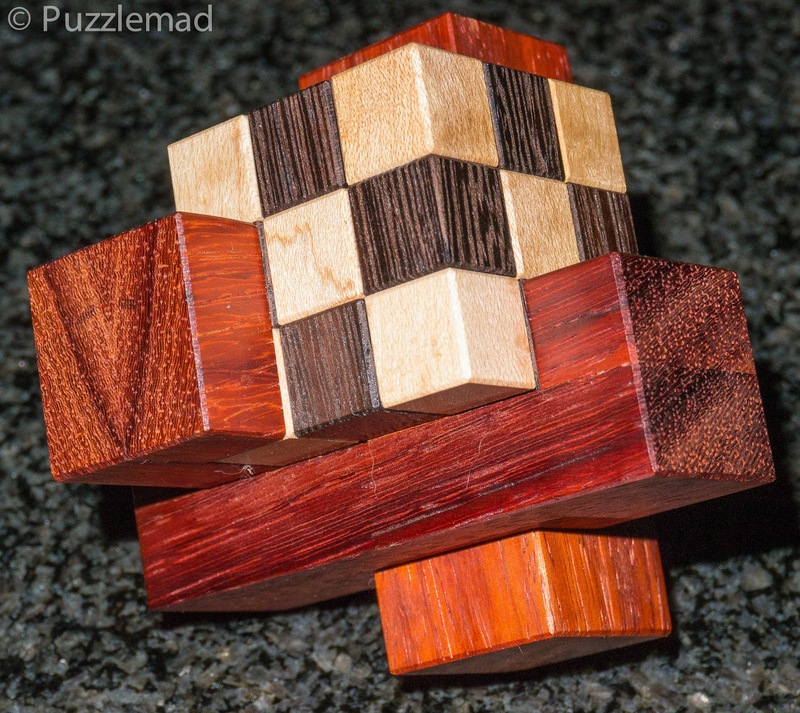 Beautifully made by Scott Peterson, Barb's cube is a 7 piece puzzle made from Padauk, Wenge and Maple. It was Jose's entrant into the IPP29 design competition in 2009 held in San Francisco. I am honoured to finally have a copy of this beautiful puzzle!